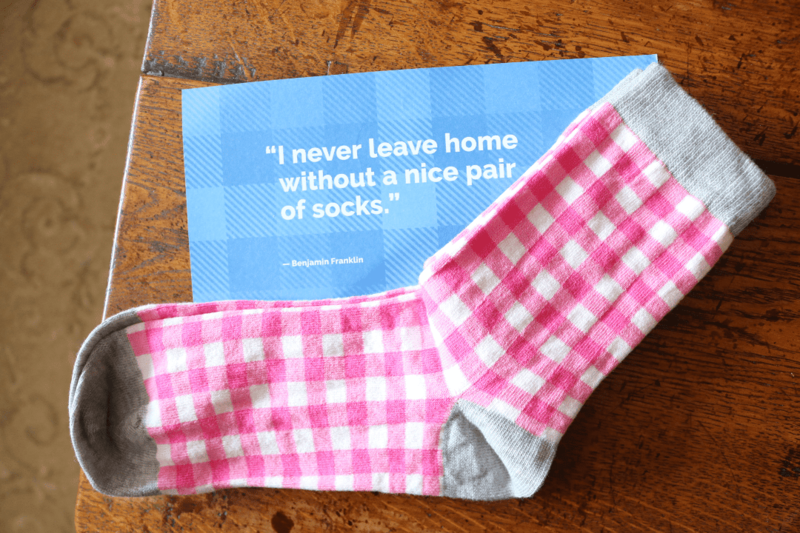 Socks are something that most of us wear on a daily basis, so wouldn’t it be a great idea to have a brand new pair delivered straight to your door every month?! 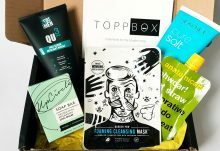 Socks In A Box provides this service and it makes an excellent gift subscription for the person that has everything! 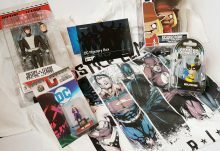 Socks In A Box are delivered via Royal Mail and arrive in a letterbox friendly box so that you don’t need to worry about missing a delivery when you’re out or at work during the day. 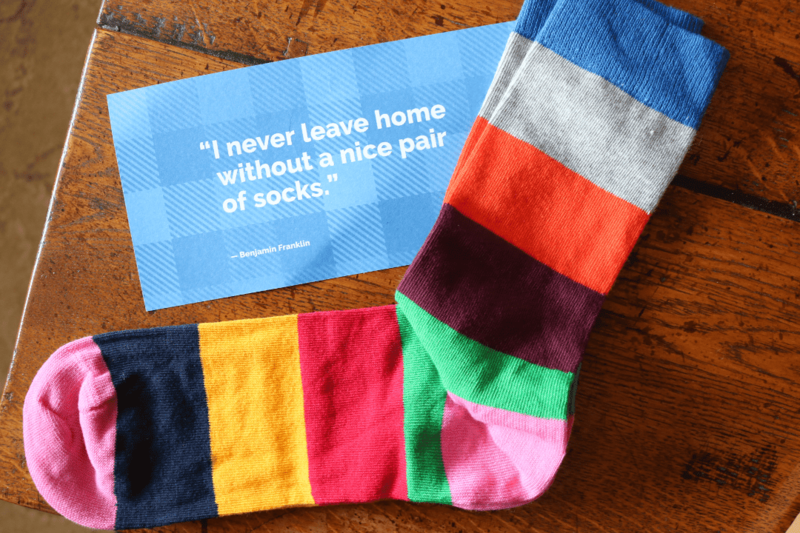 For the man in your life, banish those dull and boring socks of his and brighten up his feet with a fun Snazzy Sock Subscription! The pair above are a brilliant example and feature a multi-coloured striped pattern throughout which are quite loud and adventurous if you’re used to wearing black socks all the time! Made from a blend of 70% Cotton, 29% Nylon and 1% Elastane, these socks are soft, comfortable and have a good amount of durable stretch. 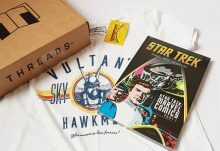 Ladies are well catered for with the Bright and Breezy Subscription which features more feminine designs. As you can see, this women’s pair has a pretty pink and white checkered design with pale grey accents on the heel, toes and ankle. 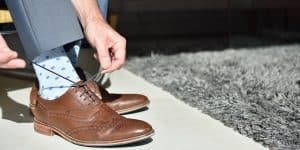 They’re made from the same composition as the men’s socks above; 70% Cotton, 29% Nylon and 1% Elastane, and are equally as comfortable to wear, with a soft and stretchy texture to them. A gorgeous pair for Spring! 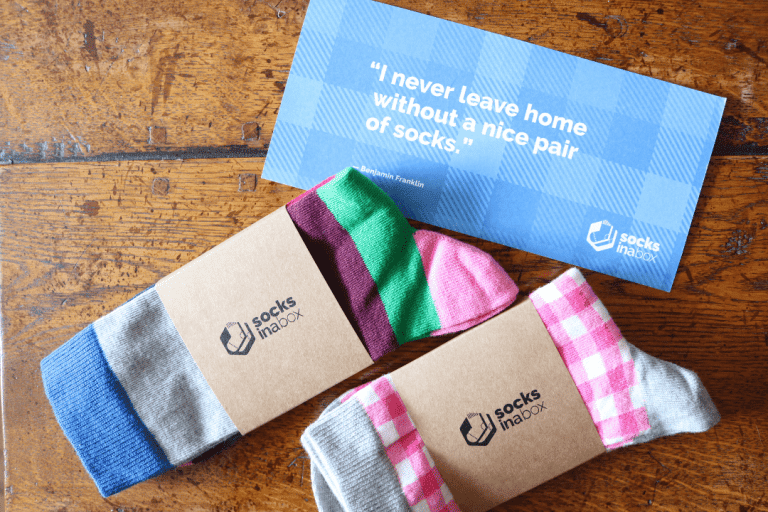 Whether you're treating yourself or gifting a subscription, Socks In A Box offers colourful, quality socks for both ladies and gents!